I rarely go out at night. Definitely nowhere as often as when we were single and without kids yet. Even when I do, I don't usually get to leisurely enjoy the city. Well, I got a chance to do so last week, when I played tour guide to a visiting relative. It's the same Hong Kong, but in a different light, with a different vibe. I love it. Night shots are fantastic and your monochrome is fantastic. It's nice to get out at night once in a while. Lovely lights! I'm glad you were out at night to get this shot! A fantastic sight of the city... but I understand missing the nightlife. It certainly glows ... it must have been nice to see the city in a different and leisurely light. I bet Hong Kong at night is awesome...this picture sure makes it seem very "alive". Beautiful night shot ~ lovely! I don't go out much either at night these days or rarely into the city anyways. 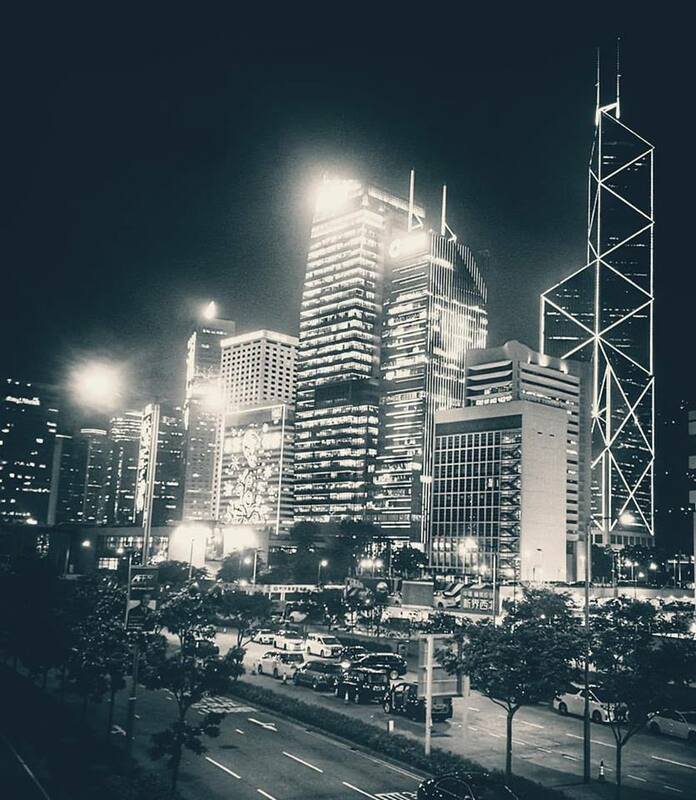 Hong Kong at night is beautiful! Have a great week! What a stunning night photo!